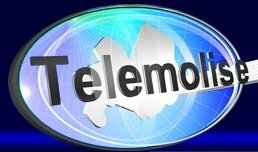 General TV Channel / Telemolise is the first private television broadcaster in Molise, both for seniority and listening, to cover the population and business size. The establishment of Radio Tele Molise srl took place in 1978. It has headquarters in Campobasso and local offices in Isernia, Termoli ( CB ), Rome and Vasto ( CH ). The issuer is Auditel certified to control the listening index, with 223,773 net contacts (number of viewers different from each other, tuned for at least one minute on the issuer in the month concerned).